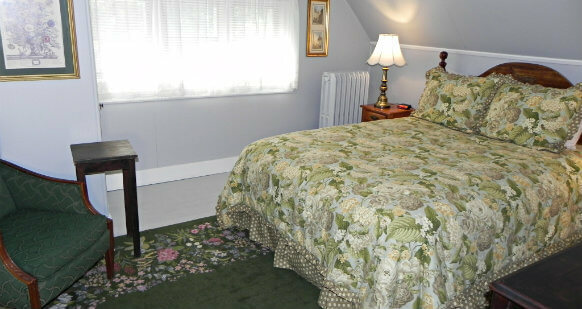 Vine Cottage Inn has been welcoming guests since 1905. 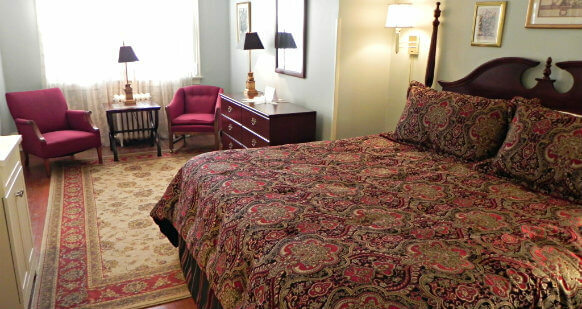 The warm inviting atmosphere coupled with exemplary guest service provides luxury accommodations without the price tag. 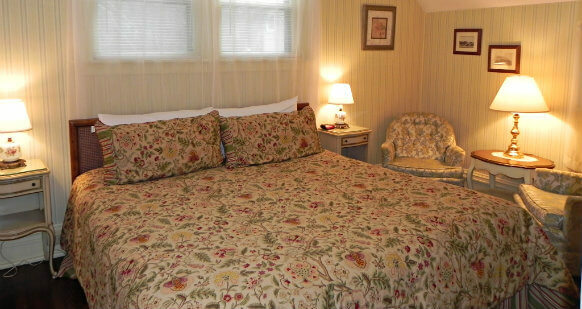 The guest rooms, named after flowering Vine plants, are elegantly appointed with a unique blend of modern and antique furnishings, wonderfully soft Comphy Sheets, Gilchrest & Soames toiletries, and luxurious bedding. 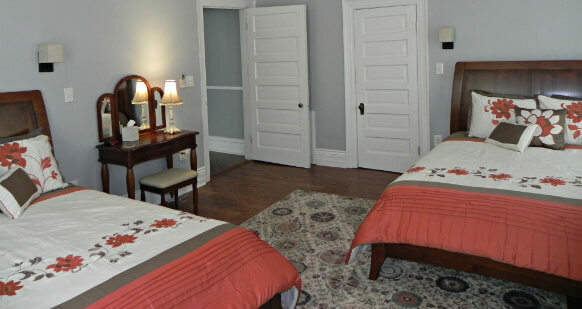 Each room has individually controlled heating and air conditioning and complementary WiFi. Hair dryers and irons & boards can be delivered to your room upon request. A delicious three course breakfast is included for all guests each morning. The library, which is shared common space on the second floor has a flat screen TV with DIRECTV and is the only room with a television in the Inn. However, if you came to Bath County to watch TV, you are missing out on all the beauty and area activities the county has to offer. 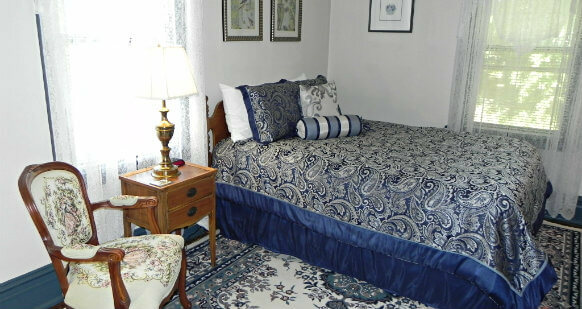 The largest room in the Inn, the suite has two spacious, bright rooms. The bedroom is beautifully appointed with two queen beds, a sitting area and a desk. The Living room has a pullout sofa sleeper, allowing the room to comfortably sleep 6 guests. The remodeled private bathroom has a pedestal sink and walk-in shower. 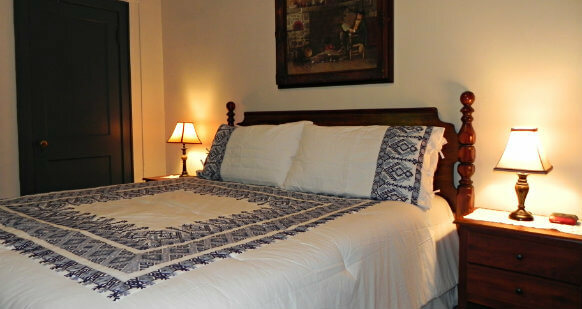 Tucked into the middle of the Inn, this guest room has a relaxing quiet atmosphere. 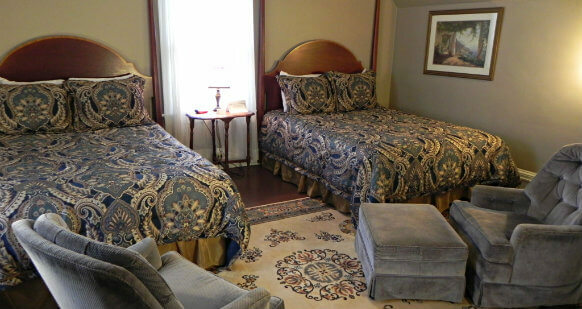 A cozy full size bed, wrapped in a beautiful gold and black comforter, graces the space. The private bathroom has been upgraded to include a walk-in shower. A gorgeous four poster King size bed dominates this corner room. Taller than average, a step is provided to help reach the top. Teal and coral colors combine to create a room that is intimate and serene. A pedestal tub with overhead shower is located in the private bathroom. Overlooking the back yard, this room earned its name through its collection of duck pictures. 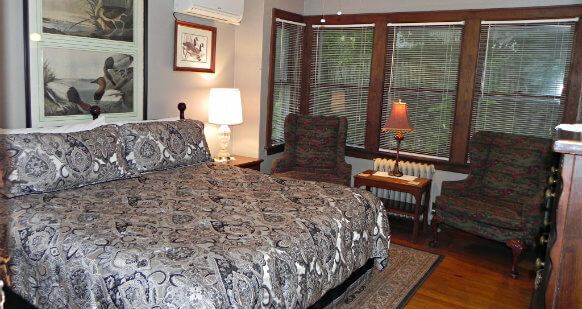 Original woodwork enhances the elegance of this quiet room with a king size bed. A private bathroom with tub and rainforest showerhead completes the space. This bright corner room at the back of the Inn overlooks the backyard and the mountain. An elegant cannonball queen bed, large area rug, two armchairs and a desk incorporate romance and work in this lovely room. A private bathroom includes a pedestal tub with shower. 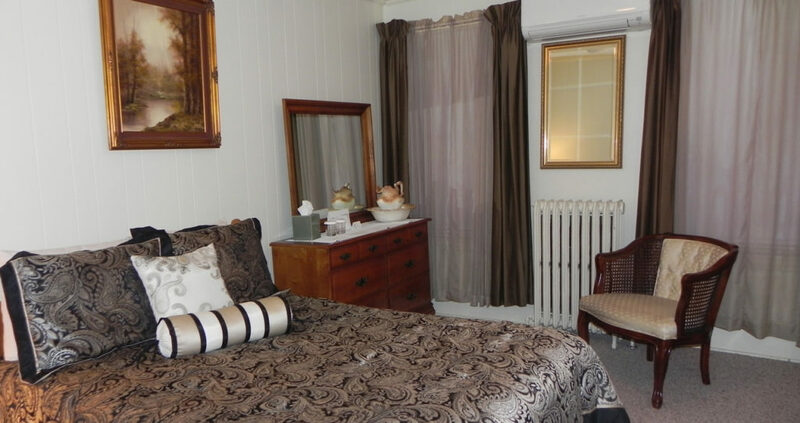 Relax in this spacious room enhanced with soft gold walls, cherry furniture and burgundy & gold comforter. 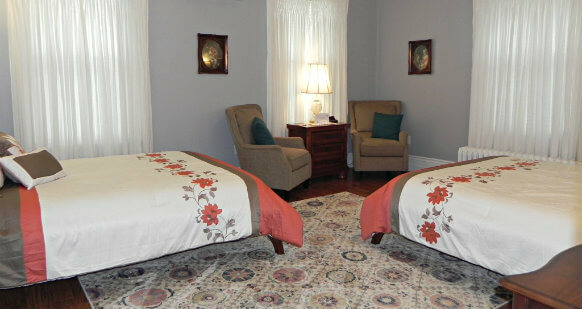 Curl up with a book in one of the chairs or pamper yourself with a soak in the clawfoot tub in the private bathroom. The king size bed is perfect for sweet dreams. Soft yellow and light green wallpaper greets you in this romantic corner room. Windows on 3 sides provide lots of natural light. French Provincial furnishings grace this room with a king size bed. An original pedestal tub with overhead shower is perfect for rejuvenating. 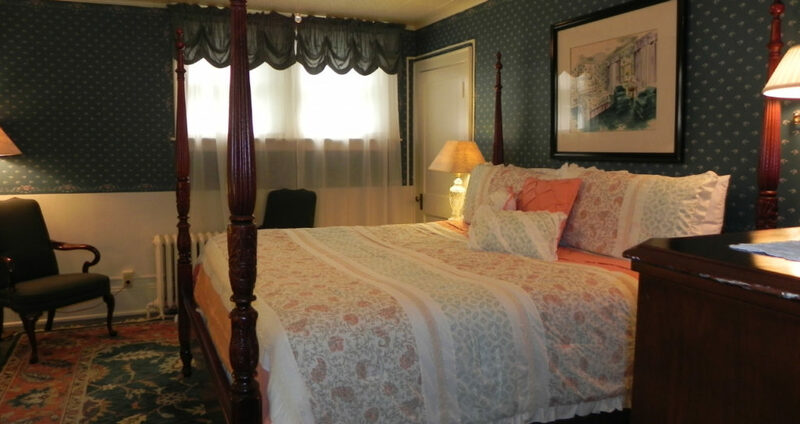 This quiet room features a king bed with cannonball headboard. White and Navy blue combine to create a sanctuary where you can relax and unplug. Experience the rain forest shower head, or enjoy a soak in the pedestal tub in your private bathroom. Traveling with family or friends? This spacious corner room features two queen beds. 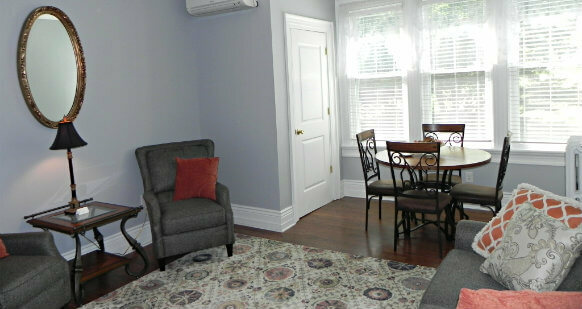 An area rug adorns the hardwood floor. Two comfortable chairs create a cozy space for reading or relaxing. A pedestal tub with overhead shower is located in the private bathroom. This cozy room is “hidden” under the eaves. Featuring a queen size bed and two armchairs, this room provides the perfect combination of romance and intimacy. The private bathroom is located right next door in the hallway and contains a walk-in shower. The Summer Festival runs from Independence Day Weekend to Labor Day Weekend. Concerts are on Saturday at 5:00 with a gourmet dinner afterwards. There is also a concert on Sunday at 3:00.